For heaven's sake, feed the baby!! 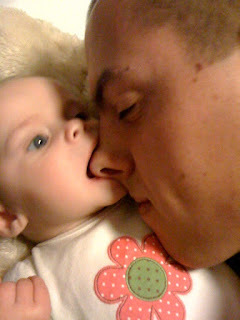 That is the way Daniel tests to see if Vi is hungry...a familiar sight. Did she get anything out of there?